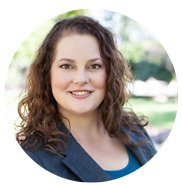 I’m Dr. Heather Paulson, a board certified naturopathic oncologist. As an expert in combining natural therapies, nutrition, exercise, and emotional healing, I create a strategy for dealing with cancer just for YOU. In my 10 years of clinic experience, I have helped thousands of people with cancer. After watching my father die from colon cancer and supporting my husband through his cancer treatments (all by the age of 25), I knew I would dedicate my life and medical training helping those moving through the cancer experience. I’m Dr Paulson, a board certified naturopathic oncologist. As an expert in combining natural therapies, nutrition, exercise, and emotional healing, I create a strategy for dealing with cancer just for YOU. In my 10 years of clinic experience, I have helped thousands of people with cancer. After watching my father die from colon cancer and supporting my husband through his cancer treatments (all by the age of 25), I knew I would dedicate my life and medical training helping those moving through the cancer experience. Join My Community and Start Living a GREAT Life! 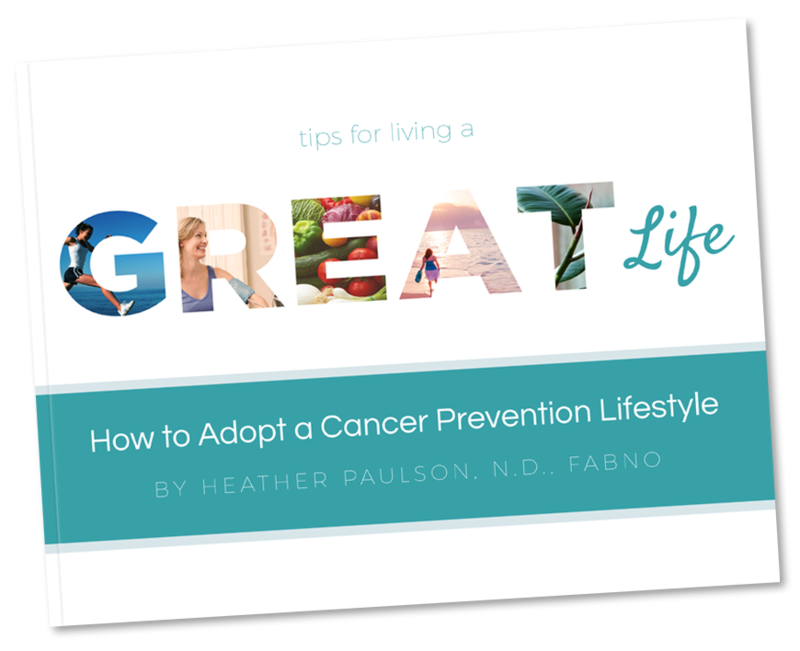 Get my free eBook with 5 Easy Steps for adopting a cancer prevention lifestyle and living a G.R.E.A.T. Life™. As a bonus, you'll get my newsletter with even more recipes, exercises, and tips. Have You Been Diagnosed with Cancer? Are You Feeling Overwhelmed? There is so much information out there about cancer. It’s hard to know where to start, right? I have been there and can totally relate to what you are going through right now. In fact, being confused about where to turn for natural medicine support with cancer is why I became a doctor. I’ll point you towards ways to support your body while healing from cancer. I want you to feel better coming out of your cancer diagnosis, chemo, radiation, and surgery than when you went into it. Together, you and I will dig into nutrition, lifestyle, spiritual, and emotional components of your health. I am here to help you redefine cancer from a source of stress and disease, to a jumping off place to living your best life. Search this site to find the answers.